After several months of beta testing (not to mention years and years of development delays), Ragnarok Online 2 (RO2) from Korea-based publisher Gravity Interactive will finally enter its open beta in South Korea on February 22nd, 2012! 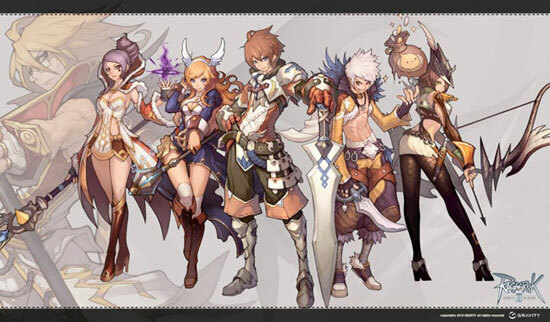 Pinoy MMORPG players may be asking WHEN will Ragnarok Online 2 coming to the Philippines, so we asked GM Aeon, Brand Manager for Level Up!/Playweb’s hugely popular local version of RO to give his comments. He respectfully declined to comment on the matter. Ragnarok Online 2 has been gone through many beta tests and the hopefully the final test was conducted on Dec. 26 last year, which was reportedly well received by many players. Therefore, Gravity decided to begin its RO2 open public beta. At G-Star 2011, Gravity disclosed that Ragnarok Online 2 has been licensed to 10 countries, and the localization work can start at any time. I’m assuming that the Philippines is one of those based on how popular the game is here and how skilled the players are given our performance in the Ragnarok World Championships. Cross your fingers, Pinoy Ragnarok Online Players, and hope that RO2 finally comes to the Philippines very SOON!